We have all seen the multitude of books on blackjack winning strategies. You've seen them or maybe you've purchased them. They make grandiose promises involving beating the casinos and making you rich playing blackjack. But they are just a lot of hype designed to make the authors rich and you fifteen or twenty dollars poorer. 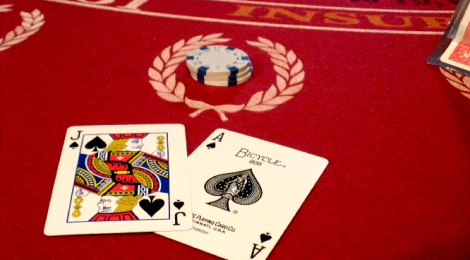 Yes, some blackjack games can be beaten, but the majority cannot. A bit of simple logic. The hype is about selling the books; nothing more than that. It is to get you to spend money and make the publishers rich. So why do these books keep getting written & published? Why do they play upon the idea that blackjack is a game that can be beaten? Because it actually can be beaten if certain criteria can be met. Yes, blackjack can be beaten by people who are willing to put in the time to learn the game, to learn the strategies and to understand that those strategies only work in a certain selection of games. And those games cannot be found everywhere. You must know which games to play and how to play them. The world of blackjack played today is very different from the blackjack played 4, 5 or 6 decades ago. Back then you could earn huge money because the psychology and the mathematics of the game were not known. When Edward O. Thorp published his book "Beat the Dealer" back in the 1960's, the world of blackjack was permanently changed and card counting became part of that world. But as these tools and strategies were used to great effect back then, the casinos saw the need to change as well. They came up with their own strategies to fight the card counting tactics. Blackjack was originally played with one deck that was dealt to the last card. Now they shuffle after each hand or may use 2, 4 or as many as 8 decks loaded into a dealing shoe which makes counting almost impossible. And in online casinos using counting techniques is pointless with the random number algorithms in use. So to win at blackjack in this world and in particular the online world you must learn your game inside and out, you must pick your casino, your table and your game with great care and it's unlikely that you'll win a million in one shot. What is more likely is working at small wins that accumulate over time. The tortoise is the way to win in modern online blackjack, the hare will play to the point that he cannot recover from his losses.